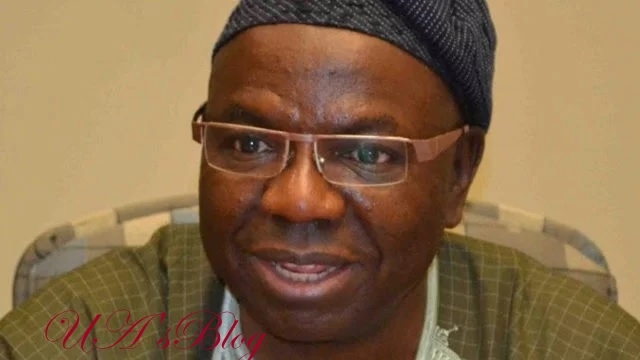 A presidential aspirant of the Social Democratic Party (SDP), Prof. Iyorwuese Hagher, has described President Muhammadu Buhari as a sadist whose three and half years in office has been nothing short of embarrassments to the nation. According to him, the North including the Fulani ethnic group, were embarrassed by his cluelessness and abysmal failure in fulfilling his campaign promises. Hagher, a one-time minister and Nigeria’s ambassador to Canada, also said the 2019 election will be less about issues but about President Buhari because the country cannot afford to have another comatose government in the next dispensation. He told Vanguard newspaper: “I am saying that President Buhari has failed in all his campaign promises. Take his manifesto where he said he was going to restructure the country, have you seen any restructuring other than herdsmen killing farmers and taking over their lands? That is the only restructuring that has come. When he promised he was going to give 20 percent to education, have you seen anything up to 10 percent in education? When Buhari promised that he was going to give us true federalism, the only true federalism is the employment of people from Daura, nepotism of the highest order. “The Fulani are embarrassed by this man, the far North is embarrassed; so is the Middle Belt. We have never been so divided. “We in Benue voted for him willingly, Benue gave the highest votes to him than any other people and, therefore, it is not just about Benue or Middle Belt, it is about Nigeria, they are tired of this man. He is an embarrassment at the international level. It is an embarrassment for us to have a President who is clueless and a President who appears to be a sadist. “When he promised to stop medical tourism, what is happening? I don’t think that he understood whoever the spin doctors were that wrote his manifesto. He could not have comprehended the kind of things he was promising. “So this election is about Buhari, it is a referendum on his performance. His performance is graded F and he should be shown the way out so that Nigeria can move forward.